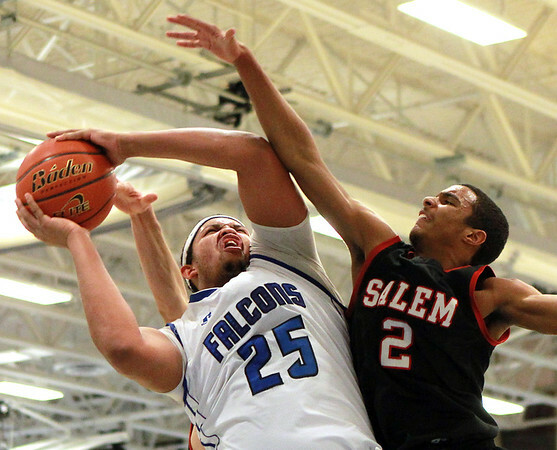 Danvers senior forward Devan Harris (25) goes up strong to the hoop as Salem guard Ricky Arias (2) goes up hard for the block. DAVID LE/Staff photo. 1/16/15.